The hoverboards that Back To The Future promised for 2015 might still be a pipe dream, but the next best thing is on its way. Electric skateboards are here, and they're lighter, faster and more sophisticated. 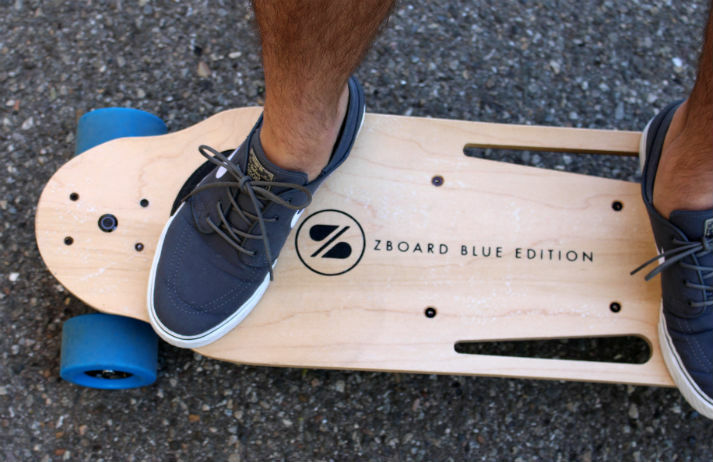 The latest, the ZBoard 2, proved an instant hit at CES 2015. Whether it's a hipster on their fixie, a banker on their Brompton or MAMIL (middle-aged man in lycra) on their road bike, city streets and country lanes in the UK are packed with cyclists. Around two million Brits now cycle at least once a week. What is making travelling by two wheels so popular? The scooter has overtaken the bicycle to become the second-biggest two-wheeled form of transport across India. They now account for nearly a quarter of two-wheeled sales throughout the country. Sales went up to nearly 25% at the end of 2013, against 14% in 2007.